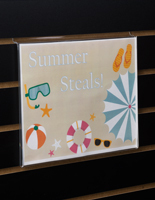 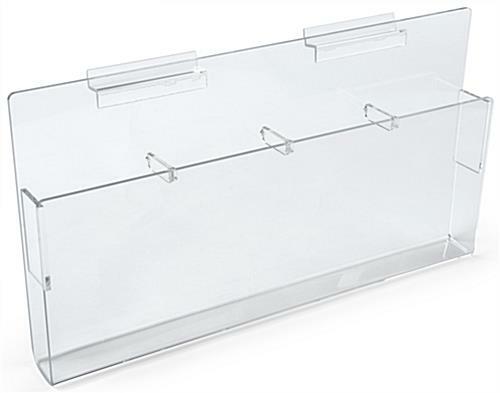 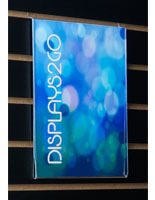 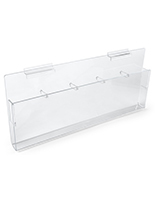 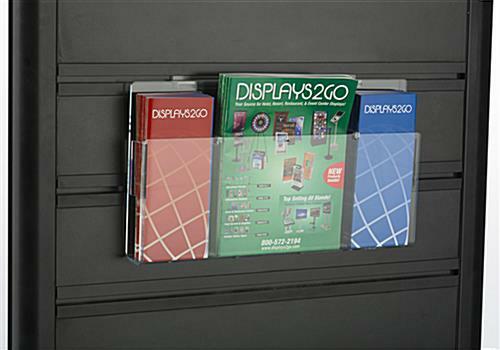 Slatwall Acrylic Accessory- This Multi-pocket add-on literature rack is great to put on your slatwall display. 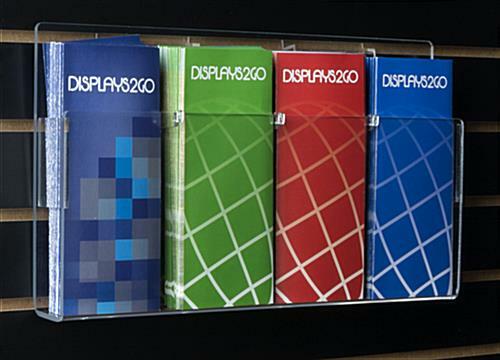 There are four adjustable pockets for 4" brochures. 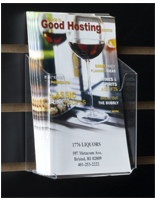 There is also the option to have (2) 8.5" pockets for wider literature It is made from durable acrylic so you are able to see the entire front of your literature. 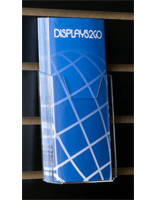 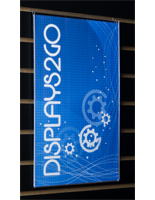 This accessory easily attaches directly to most slatwall displays without any other mounting hardware. 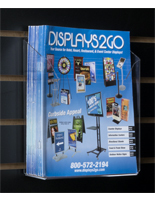 You can use this rack in conjunction with any of our other accessories to be even more informative. 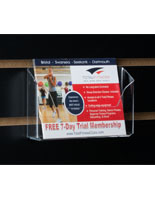 Thank you for the review, Jane. 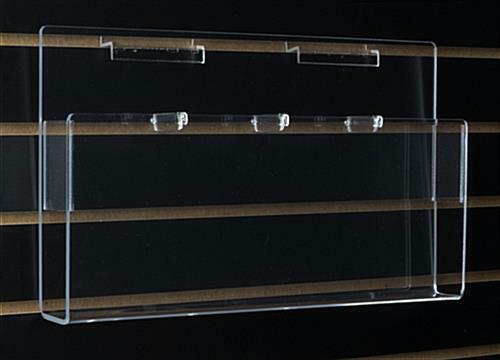 If you are planning on ordering from us again, feel free to like us on Facebook; we offer various social media-exclusive discounts and deals that you may be interested in for future orders!